World leaders are focusing on more environmentally friendly and sustainable power as it produces clean energy without generating pollution and waste whilst using natural resources. So you may have seen the sun reflecting off solar panels in the fields as you drive around the UK as the country expands the amount of energy it generates from solar power. Did you however that this year these solar panels generated more energy than coal stations for the first time in history? Between April and September 2016 the UK solar farms exceeded the energy produced from the coal plants with coal providing zero power for several days in May for the first time in over 100 years. This was a historic moment for the country who has traditionally relied on coal for it’s power supply. Another historic milestone was achieved this year for solar power with a 20 acre solar plant built in Charlbury, Oxfordshire. This plant cost £4.4 million which was raised entirely by local villagers and it the first recorded ‘crowd-funded’ solar farm which started generating power in November 2016. People have bought shares in the plant which is expected to made a profit of £750,000 which will be used to fund low carbon initiatives and educational projects. OVO Energy predict that whilst 6% of UK homes currently have solar panels, this will rise to just over a quarter of homes in the next few years as people gain a better understanding of sustainable energy. According to their survey, 20% of homeowners are planning to fit panels before 2020. Although some people are put off by the cost, solar panels could actually increase the value of a home if installed properly and in many instances do not require planning permission. They are low maintenance and generate energy savings as the home can run off the supply produced. They also feed surplus power back into the National Grid which a homeowner is then paid for, generating income. However, not all solar panels are created equal. There are different types which have varying levels of efficiency, dependent on their cost. 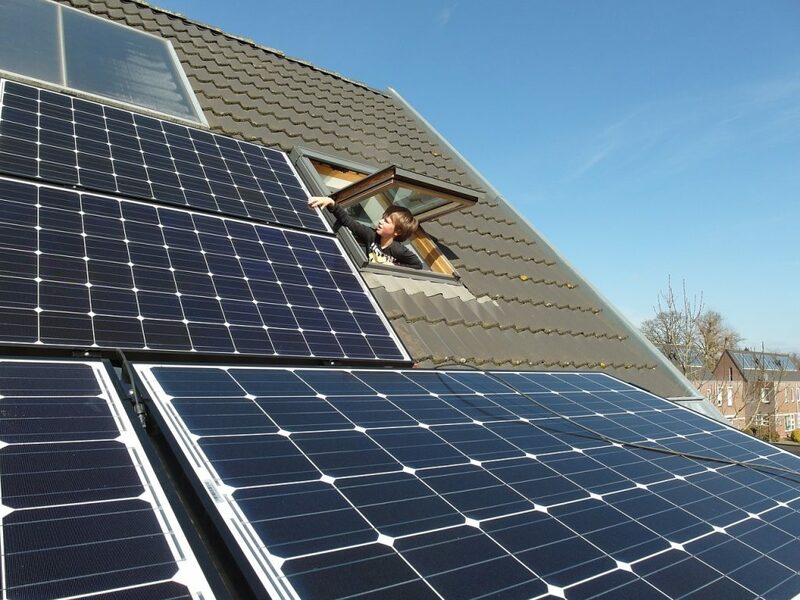 The less efficient panels are cheaper however they require more room to generate the same power as the more expensive and more efficient panels. All solar panels need to be installed on a roof facing South, East or West which a 10 – 60 degree angle for peak performance. They will generate power all year round but this production will lessen in the winter months due to the reduced sunlight hours. India have no such problems with sunlight hours and the country now boasts the world’s largest solar plant covering 10 square kilometres. It consists of 2.5 million solar modules and can power 150,000 homes. This is clean sustainable energy at it’s finest and the rest of the world needs to follow this example using suitable renewable energy production for it’s own individual climate. If you’re considering renewable technologies for your home or your business, Falcon Energy can offer the Solar PV and Solar thermal. Our design software will help you find the best system to suit your project and our experienced team are on hand to offer the very best advice and knowledge on the right renewable energy for you so please get in touch today.